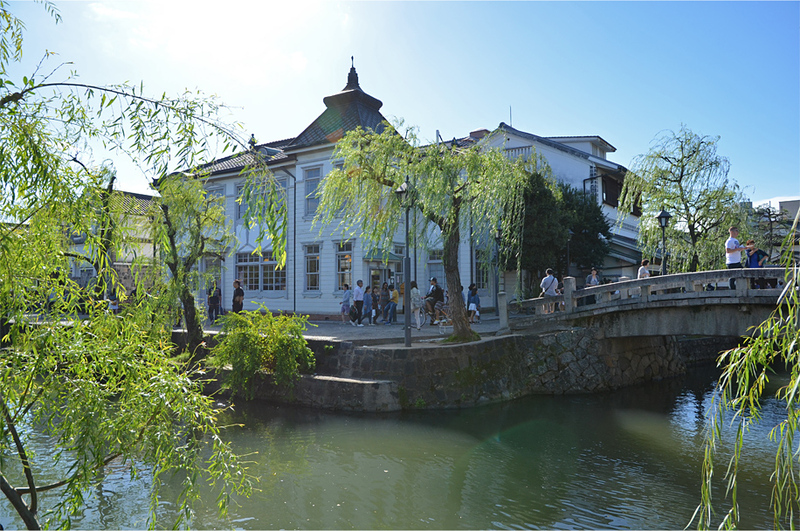 We were not meant to visit Kurashiki at all. Though I’d heard of the place and looked up pictures several weeks before our trip to Japan, it never became a priority. But that changed with a chance encounter inside a sushi bar at Okayama station, four stops down the Sanyo Main Line. 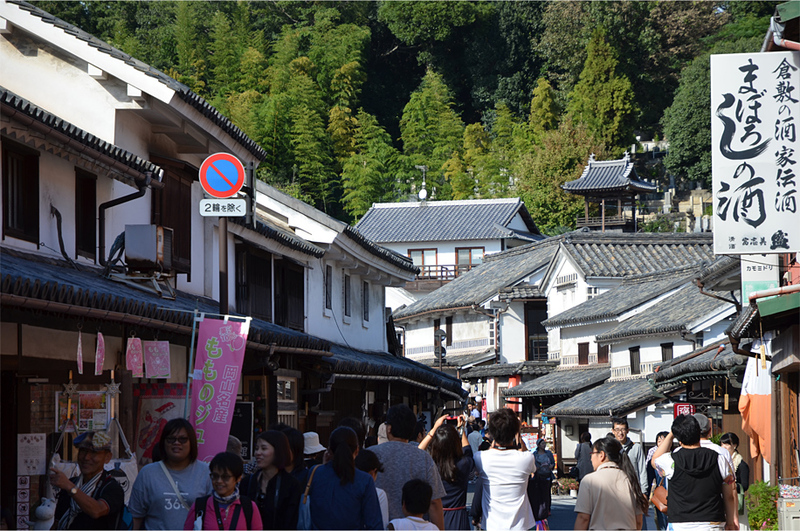 Bama and I heeded his advice the following afternoon, and once we disembarked from the local train it seemed as if we’d entered just another modern Japanese metropolis. But the businessman was right: turning a corner some 15-20 minutes later felt like being propelled back in time. 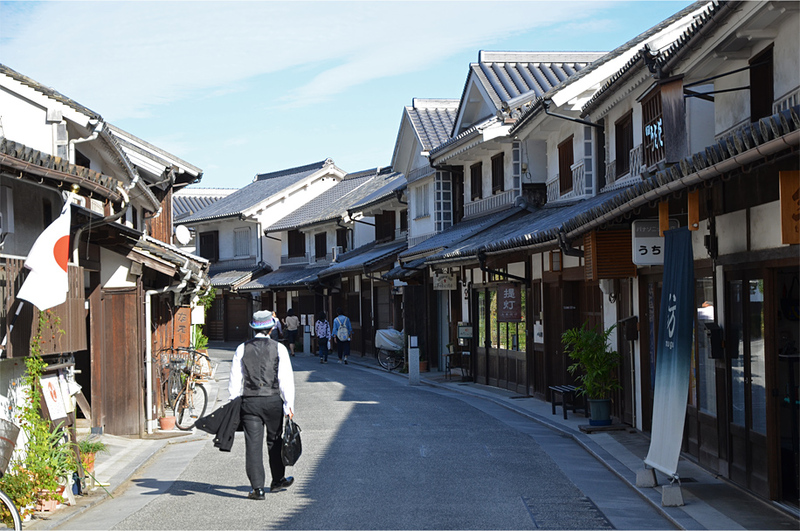 Suddenly the streetscape was defined not by concrete boxes but 17th-century warehouses, each one made of wood, whitewashed, and sporting neat patterns of black tiles. 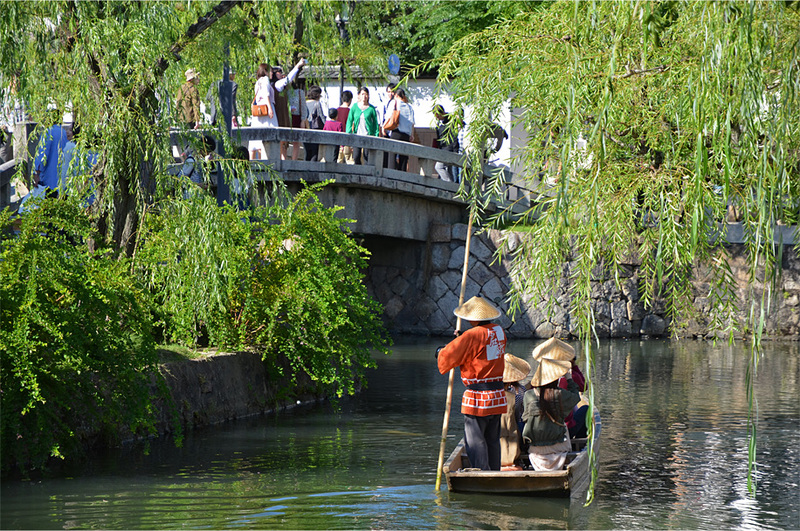 Further on, weeping willows flanked a green-tinged canal where boatmen in orange robes and conical bamboo hats took groups of visitors on slow laps up and down the rippling waters. 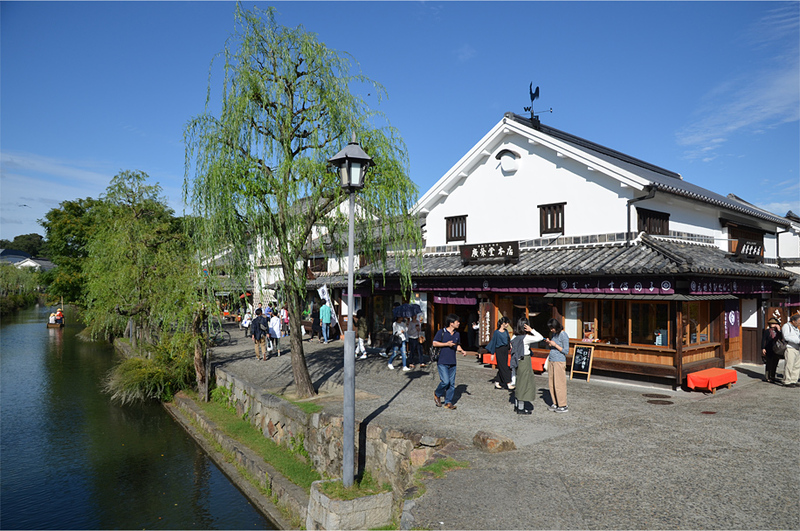 At the roadside shops, hungry patrons lined up for traditional snacks and cones of soft serve ice cream, the latter flavored with white peaches grown in the nearby hill country. 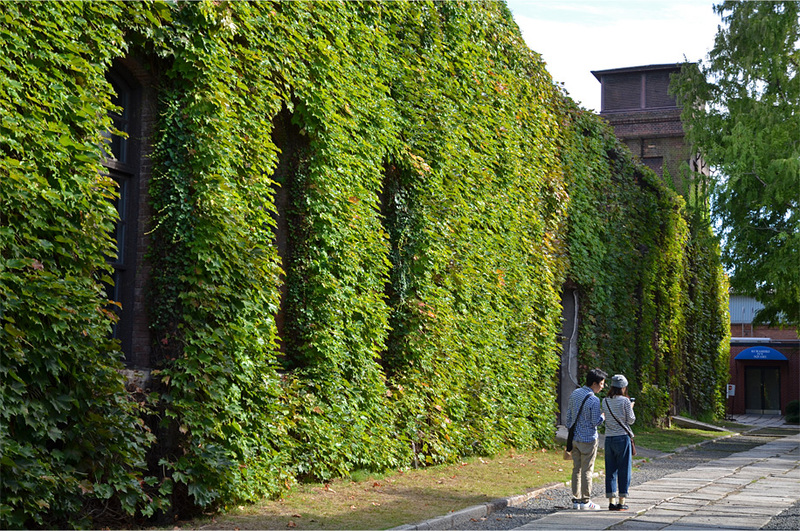 We passed the neoclassical-style portico of the Ohara Museum of Art – which became the first Western art museum in Japan when it opened in 1930. Though Bama and I didn’t have enough time to admire its permanent collection, this is something we will come back for. Masterpieces by Renoir, Matisse, and Gauguin adorn the galleries, not to mention two artworks from Monet, one of which was procured directly from the Impressionist master himself. The museum also has an entire room devoted to one precious painting by El Greco, the Cretan artist and architect who left his distinctive mark on the Spanish Renaissance. I learned all of this from my Japanese-speaking aunt, who visited several years ago on a mother-daughter trip with my cousin. It was stunning – and we had such perfect weather too. Bet you’re glad you took the businessman’s advice. This is somewhere where I could spend an entire holiday. Beautiful! Absolutely, Mallee. I can just imagine how serene it must be first thing in the morning or after dark when the lights come on and all the day-trippers have left. Next time I’ll have to book a night or two in one of the local hotels! While I was reading this post I was imagining how everything must have looked based on what you wrote. Then I saw your pictures! They looked exactly the way I imagined. I’m definitely adding this to Japan to-do list. Yeah, I have the same problem turning the world into words sometimes. I know I’ll get to japan at some point, but I’ve got a trans-continental bicycle trip starting in February, going from Southern California through Mexico and Central America down to South America. So…”soon enough” might not be that soon. 😂 Glad my comment gave you a boost! Oh, I’m planning on it! Looks beautiful. Never knew about it, and now thanks to the businessman you met, and your photos, it goes on a priority list of places to visit on my next trip to Japan. 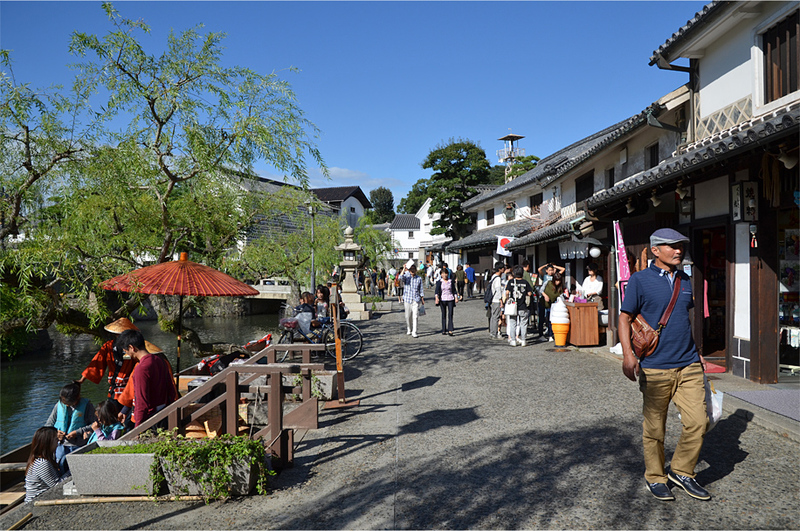 Kurashiki is a hit with the domestic visitors, but I don’t think many people from other countries are even aware of its existence. 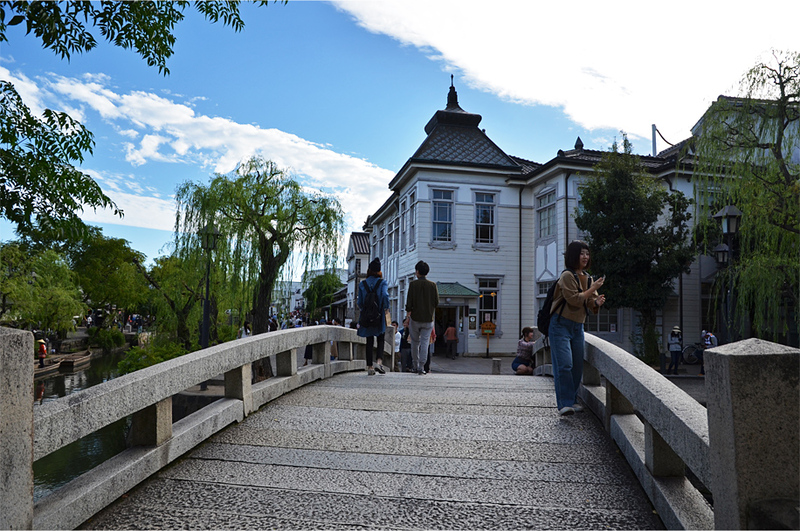 I hope you allocate at least a day to explore the historic quarter – an afternoon was really not enough. Thanks. It looks so charming that I would not mind staying overnight. Your photos transport me back to Japan, James. So refreshing and uplifting, especially when it’s raining almost every day here. 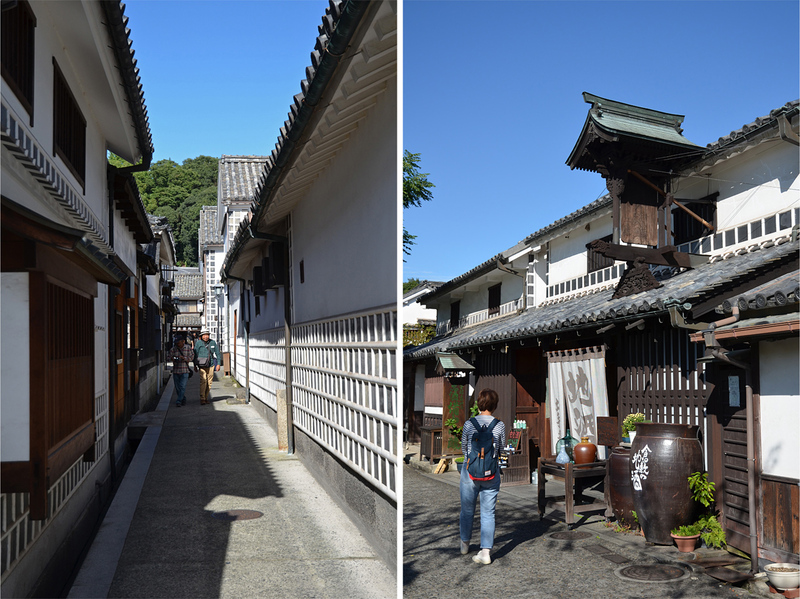 Bikan was really nice, but my favorite neighborhood was Honmachi for its atmospheric streets and pretty shops. I also liked what they did to that small pond near the cotton mill — the way they did the grass was so Japanese! Agreed. When we do go back I wouldn’t mind staying at the small hotel inside the old cotton mill. 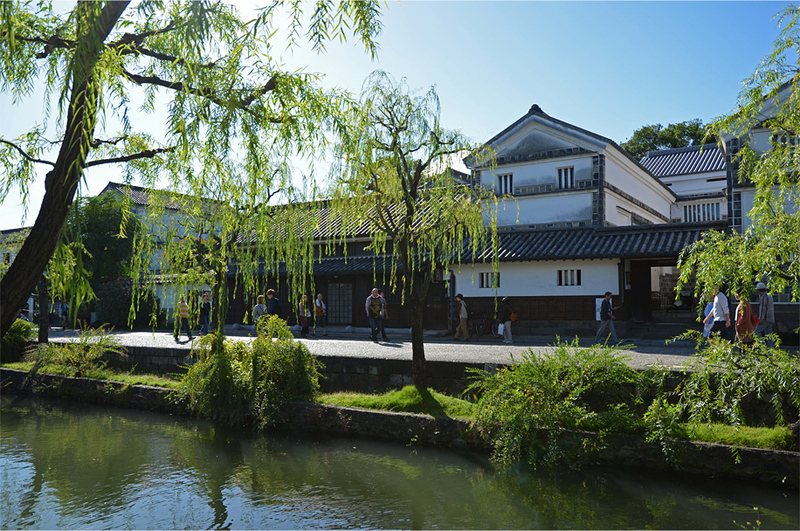 I think we should have spent more money to take the Shinkansen instead of the slow train from Himeji to Okayama earlier that day… our time in Kurashiki was just too short and I’d have loved to visit the Ohara Museum of Art! This looks lovely James. I will add it to the list for when we eventually get to Japan. Charming! That’s the perfect kind of travel surprise. Have you been to Seoul? 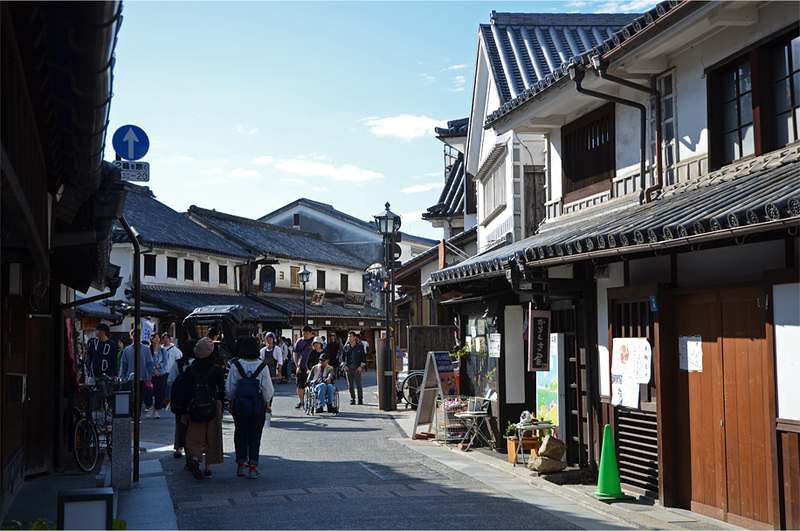 This place reminds me a bit of Bukchon Hanok Village, a traditional neighborhood I visited there this past summer. 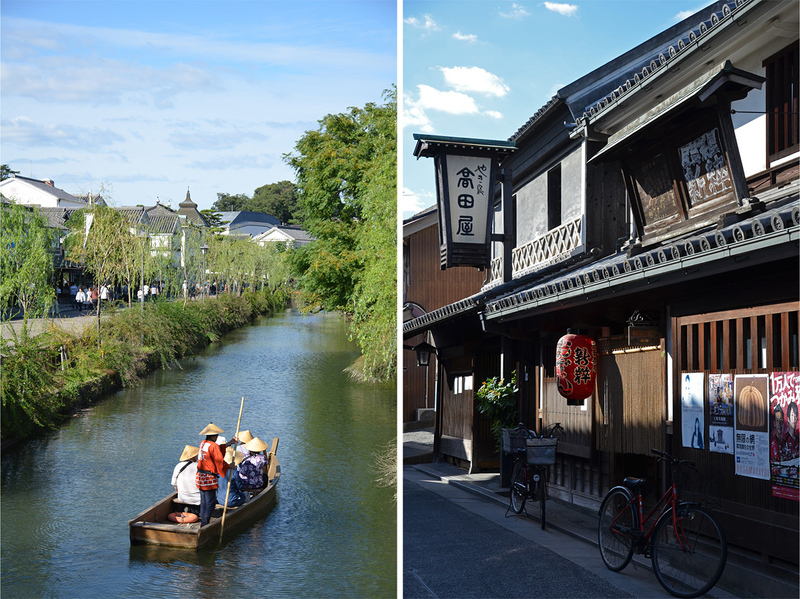 I’d read a bit about Kurashiki before going on the trip, but could never have guessed just how beautiful it was! Actually I have never been to Seoul – South Korea is a blank spot on my Asia travel map, which is strange since I used to live just a couple of hours away in Hong Kong! I’m going to check out your post now, it may have been the same place my brother went to in August. 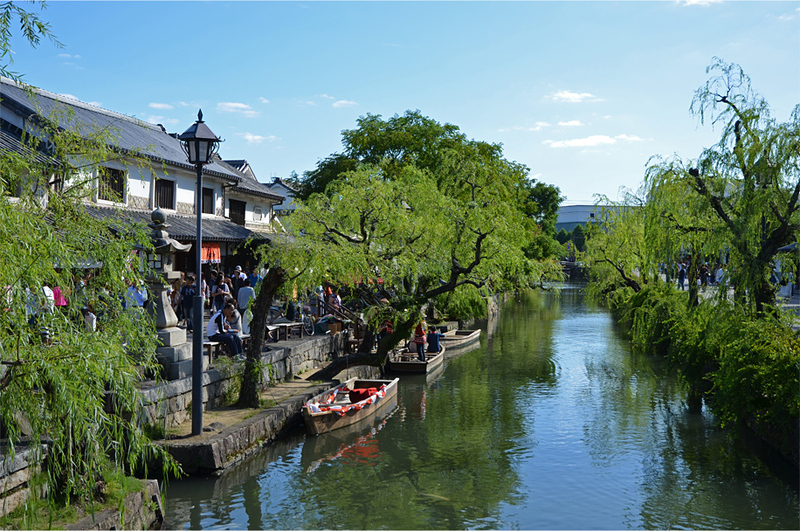 I would love to enjoy an afternoon in Kurashiki by taking a boat, sitting on riverbank for hours, or wandering around its quiet little streets. Definitely try to budget a whole day there – Bama and I only stayed a few hours so we didn’t have time for any of its museums, which was a real shame. You’re welcome. 🙂 It’s easy to get there via the railway network, just make sure you have enough time (preferably a day) to wander around and take in all the sights. I have to say, I’m not really up on sites or places in Japan, though I have been there. But I’ve never heard of this place. I was struck by the fact that you had researched it a bit before you left (a rarity for me!!). 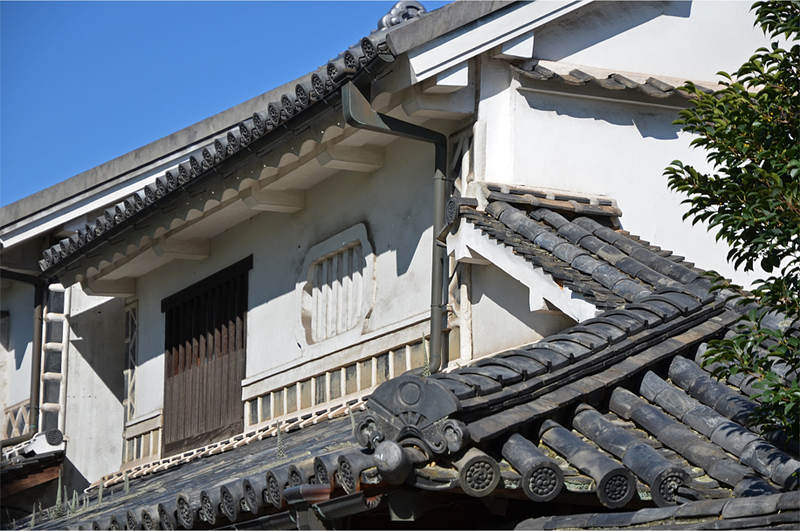 Love the tile roofs, and the fact that the Asians were taking baths and building roofs like that long before Westerners. Some Westerners still don’t take baths. And as much as I like this post, and such lovely sites in such great photos…I’m left a little unsatisfied because there are no food shots, dude! Happy New Year to you too, Badfish! Well, you could have done more research, but as you said, you hadn’t planned on going there, right. But I can’t imagine you didn’t eat anything there! Or at least take a photo of some sushi or soft ice cream! I do love the architecture shots. 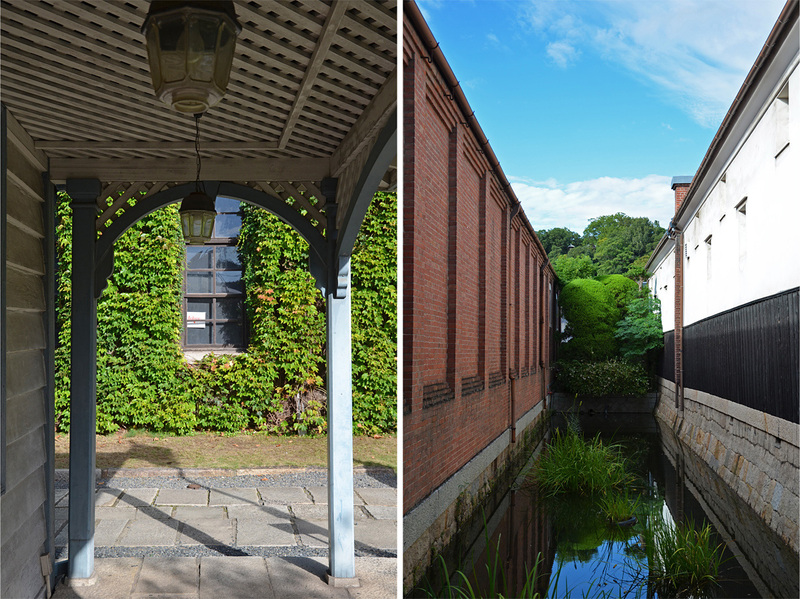 I could imagine my self walking down the alley by the riverside and simply enjoy the scenery. Great post!